There are lots of places to get a good view of Paris: Of course there is the Eiffel Tower, which is on everyone’s Paris Bucket list, but there are also several other places that might even have a better view. You can take the funicular up to Sacre-Coeur in Montmartre (or walk up the stairs like we did). If that is not high enough, you can climb 400 more steps up to the top of the dome. 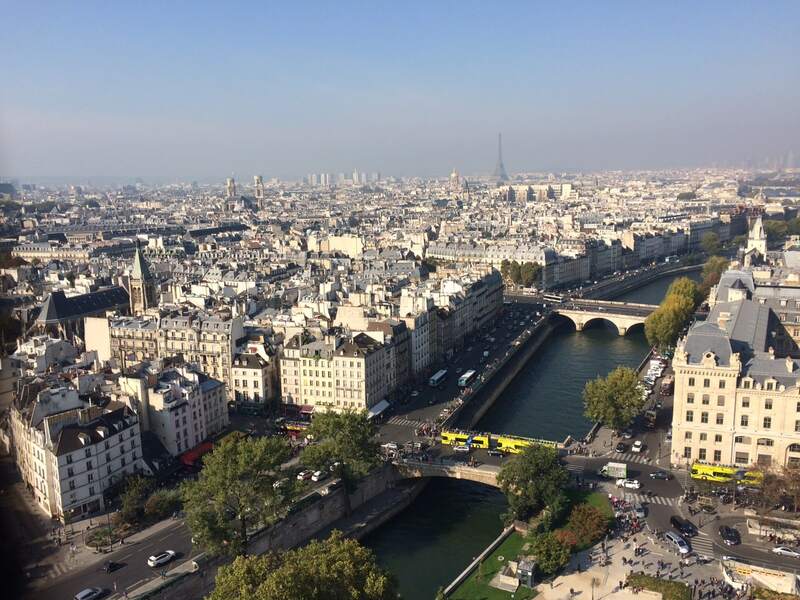 You can also climb the stairs to the top of Notre Dame and the Arc de Triomphe. Galeries Lafayette also has a wonderful view from the top floor café. You need to make sure at least one of these is on your list of things to do in Paris. Not many places have free wi-fi: Our twitter and instagram followers may have noticed decreased activity. This was mainly due to the lack of free wi-fi that I was able to find. Of course, there were Starbucks that had free wi-fi, but I really did not want to spend my time in Paris there. Most museums and brasseries that we went to did not have free wi-fi. And those that did were usually poor quality. Metro is excellent: I am using the NYC subway as my reference point and the Metro is so much better. The longest we had to wait was 4 minutes and the cars and stations were much cleaner than NYC. There was one time that I had to deal with bad body odor, but luckily that ride was short. It is cheap (each trip costs 1.80 euro) and you can also get a daily or weekly pass. I was really impressed by the Metro system! Be prepared for bag searches: Even though I had a small purse, I was constantly being subjected to a search. This included the entrances to tourist attractions, shopping centers, and also in the metro. We also saw some military personnel with large guns. Unfortunately, I think this must be in reaction to the recent terrorist attacks, but better safe than sorry. You should also watch out for tourist scams in Paris. Fountains are not always on: Paris has over 350 beautiful fountains, however, most of the ones we came across were dry. We could only imagine how much more beautiful Paris would be with working fountains. According to various websites, the fountains are turned off in the winter, however we were there the first week of October. Still there are plenty of reasons to visit Paris in the winter. 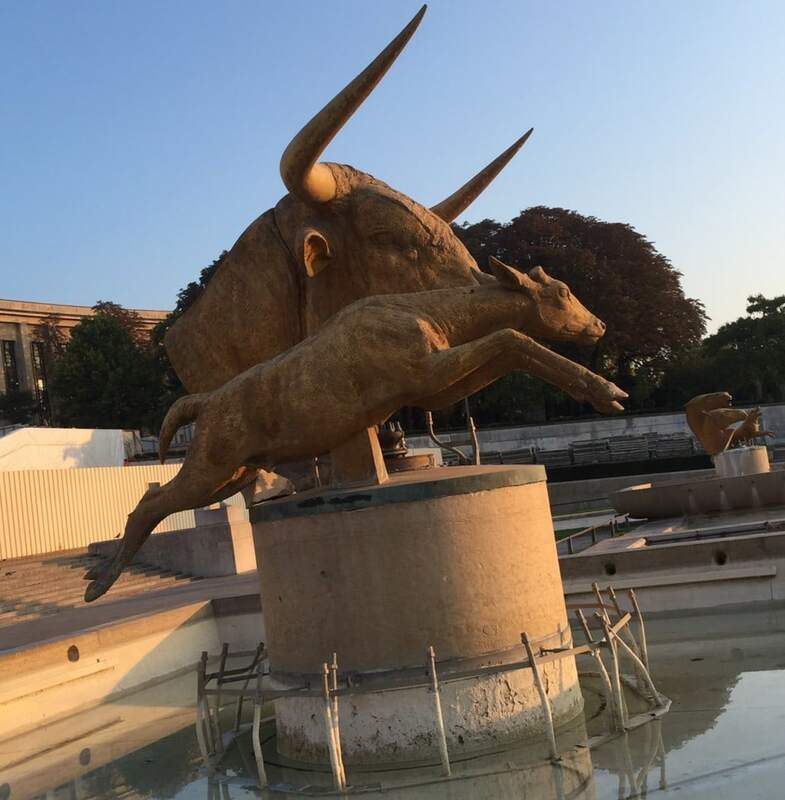 Fountains at Place de Trocadero were not on. I did like the Longhorn statue though! 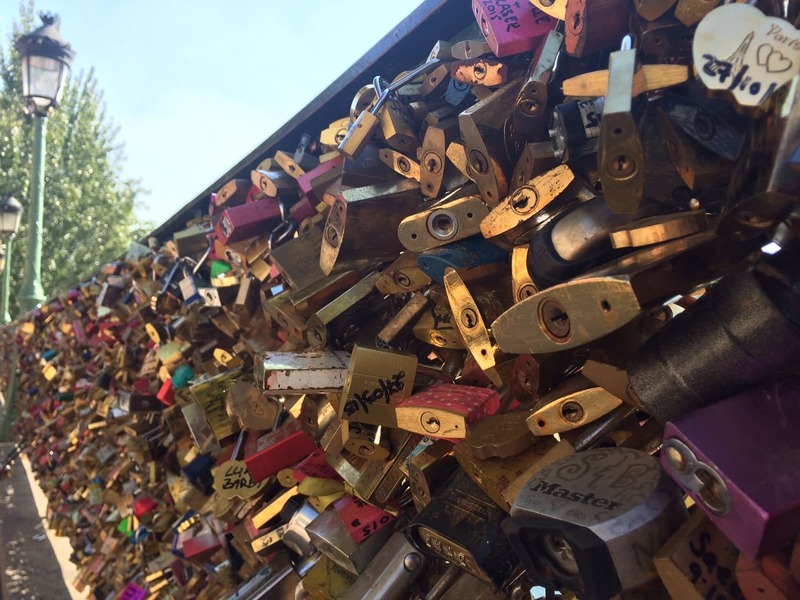 People are putting locks everywhere: There was the tradition that you would write your name and your significant other’s name on a lock on the Pont Des Arts and toss the key into the Seine as a symbol of being together forever. You may have heard that authorities have been removing the love locks from the Pont Des Arts. That is true, but lovers have found other areas to leave the locks. There is a railing on land by the bridge that is filled with locks. There were also lots of locks by the Pont Neuf. We even saw some on the railing by the replica of the Statue of Liberty torch that has become a makeshift memorial for Princess Diana. In some of the areas, there were people selling locks and also selling engraving services. Google maps has a terrible French accent: We did walk around Paris a fair bit, since it is really the best way to see the city. We used Google maps to help us navigate the streets. We would get a good laugh from the pronunciation of the French street names. Souvenir Eiffel towers are cheapest from street vendors at the Eiffel tower: Normally, you may not get the best deal on souvenirs in the tourist areas. However, if you want a replica of the Eiffel Tower, the best area to get these are at the Eiffel Tower. There are so many vendors selling them, it helps keep the price down. You should still be sure to bargain as we did have a pretty easy time getting the vendors to come down in price. They also have a good selection – lots of different sizes and even some that light up (batteries are included!). The Eiffel tower light show is amazing: Our last night in Paris, we picnicked by the Eiffel tower to catch the light show that happens the first five minutes of each hour starting at 8 pm. When the show would start there was a collective “awe” from the crowd that had gathered. We tried to take pictures and video, but it really didn’t do it justice. 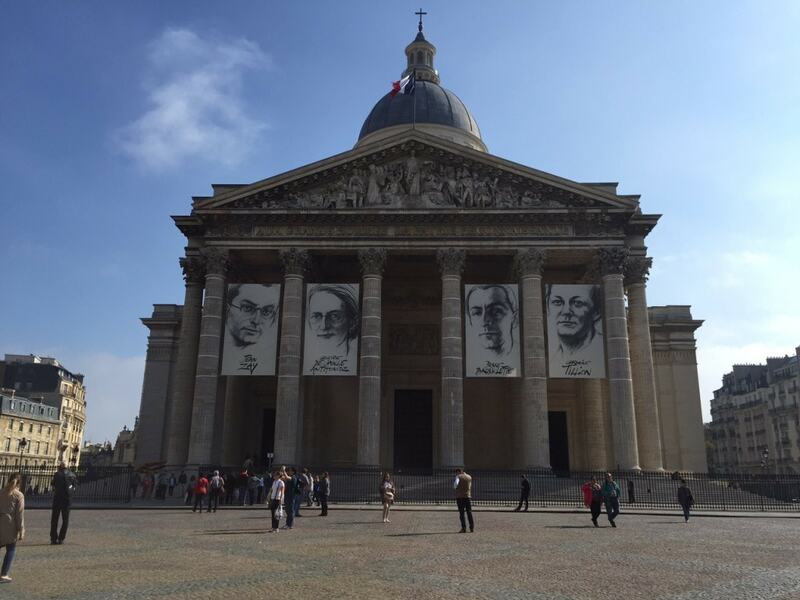 This is a must-see for any Paris trip. Also, there were vendors walking around selling bottles of wine and champagne. Check out these photos of Paris at night for more inspiration. Right now there are a lot of renovations going on in Paris: We had wanted to take pictures of the Eiffel Tower from Place de Trocadero, but there was a large area that was covered. In addition, both the Pantheon and the Rodin Museum were still open, but undergoing repairs. You may want to research this in advance to make sure it doesn’t affect your plans. Mustard is really good: Growing up in Texas, I am a fan of yellow mustard. It seemed like most places we ate would set a container of Dijon mustard on the table without any prompting. I had to try it and it was really good, especially with steak tartare. Photo shoots everywhere: I lost count of how many bridal photo shoots I saw in the few days we were in Paris. We also saw engagement and fashion model shoots. It makes a lot of sense since there are so many beautiful spots like Place de Trocadero, Sacre Coeur, Pont Alexander III, and the lovely parks. There are many options to hire your own photographer if you like or you can just head to these spots and test out your photography skills. Paris really is a wonderful city and there is a lot more to it (even some budget-friendly things too) than what I mention here. 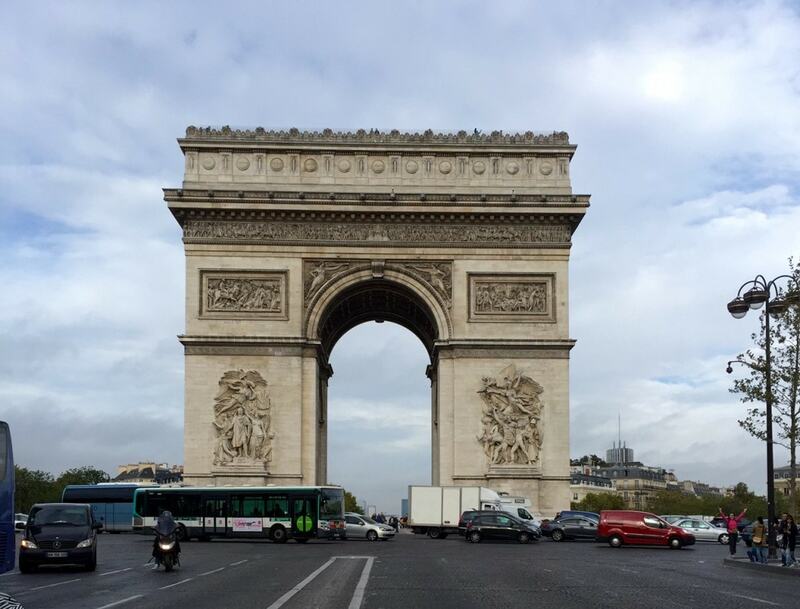 Check out my blog posts about the Louvre and Notre Dame to learn more about what I did on my trip to Paris. If you haven’t been, you need to start planning your first trip to Paris. If you’ve been, there is always more to experience in the City of Lights. I would love to hear about your observations about Paris. 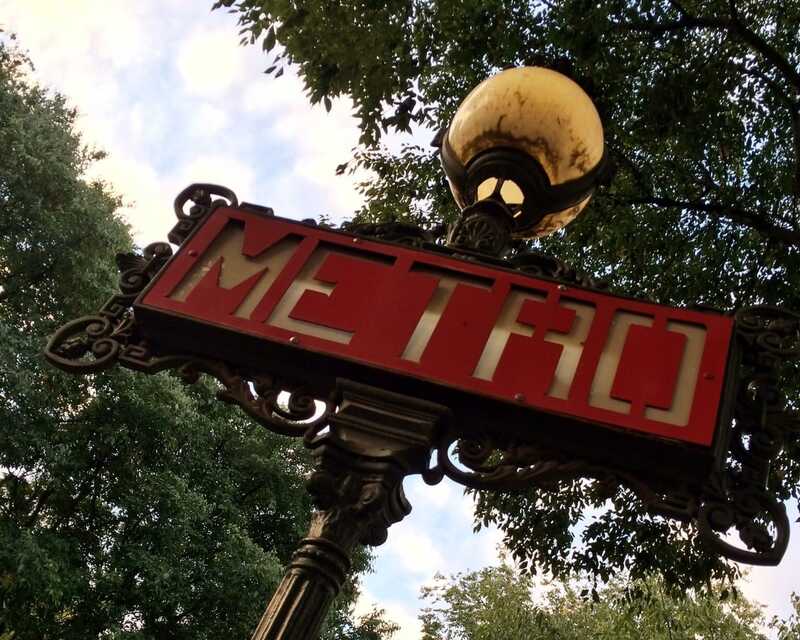 Walking is the best way to get around Paris and see the city, but the metro is a great option if you are pressed for time or your feet are tired. Avoid carrying a large bag, it can be a pain with bag searches. There are many local sandwich shops where you can get great food for picnics, but they are usually not open late. You can also buy great cheeses and wines at the supermarche (supermarket). Great info!! Can’t wait to visit! Thank you! Will be sharing more over the coming weeks. I agree but you forgot to mention the balloon from Andre Citron park, that also has a great view, without stairs, I might add. I also wrote about Paris, if you are interested to read, I have 2 posts. Gabriela – Actually I am not familiar with Andre Citron park. I will have to check out your post and then go there next time I am in Paris. Trish – haha, glad to hear we think alike. I hope you had a great time in Paris.